I am a huge bread fan. Huge. I went through withdraw when Bob wanted to go without grain but since we’ve started doing more grains and less meat I’ve gotten back into making bread. Bread is, oddly, simple to make. It is pretty easy to mess up too, but I’ve found that if I don’t overheat the water (thus killing the yeast), let the dough actually rise and use salt it tends to come out pretty well. My first bread this week was a beer bread. 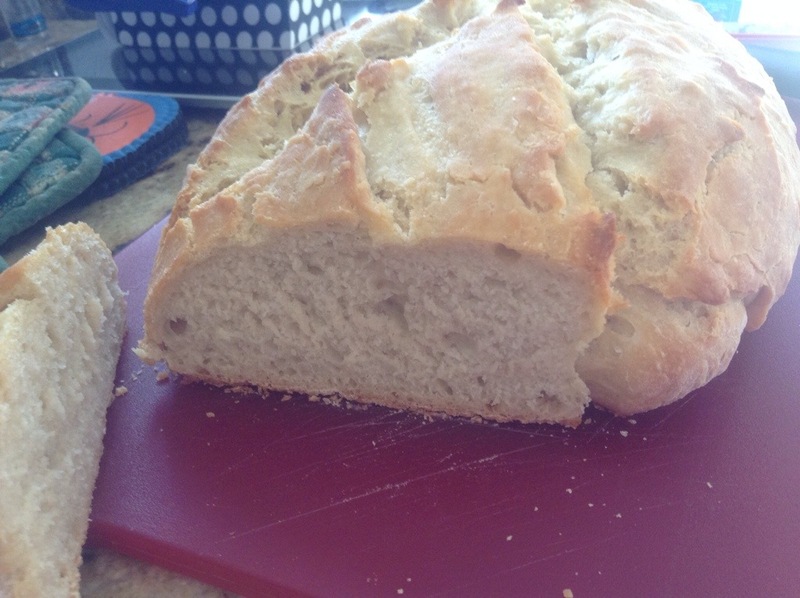 I’ve made simple beer breads before, but this one was an actual yeast based beer bread. The recipe is straightforward and requires little work beyond patience, which is not my strong suit. 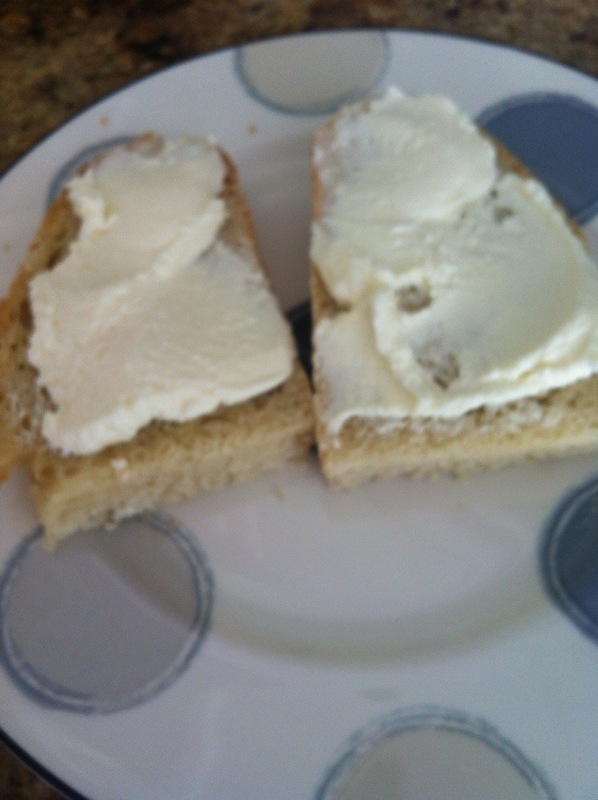 I used Blue Moon Belgium White Ale for this bread and poured some melted butter over the top right before baking. I think this may be my favorite quick bread (where quick means no kneading, not short time) and it goes well with everything. We had it with cheese for lunch Saturday then with the Chicken and Dumplings I made Sunday. 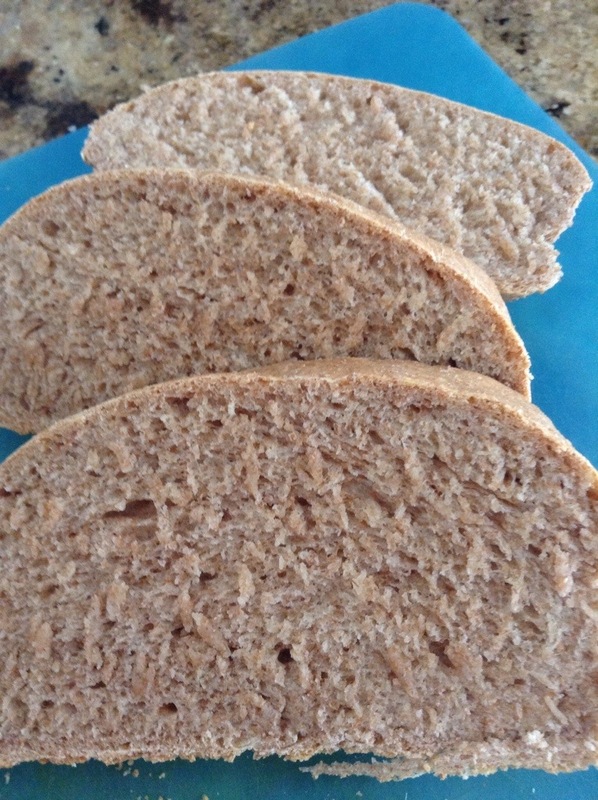 I also made a nice, basic whole wheat bread today with three cups whole wheat flour and one cup all purpose flour. 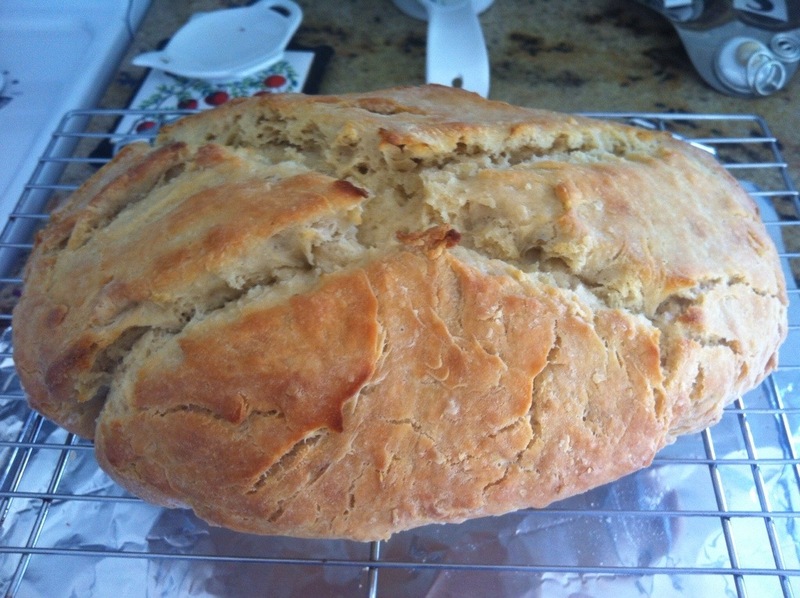 This doesn’t have the beautiful crust of the beer bread, but it is a great all purpose bread. Dough can also be dessert. As in pecan cinnamon roll dessert dough. 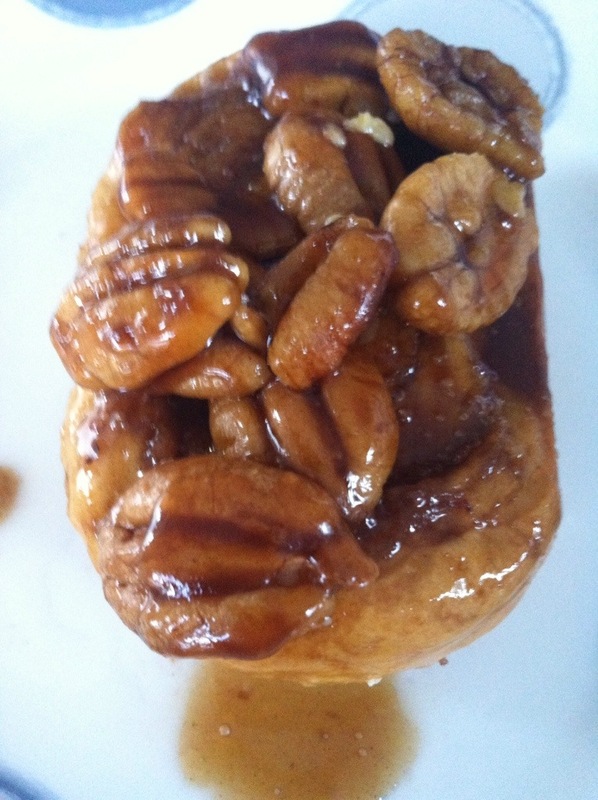 I love the sticky, goo-y rolls and the pecans really make these. I did experiment with the dough and I like my old recipe better – but the topping was pretty perfect. Some basic ingredients, a little patience and a world of possibilities. I’m so glad Bob is ok with grains again. I missed my bread. This entry was posted in Food. I missed your bread, too!